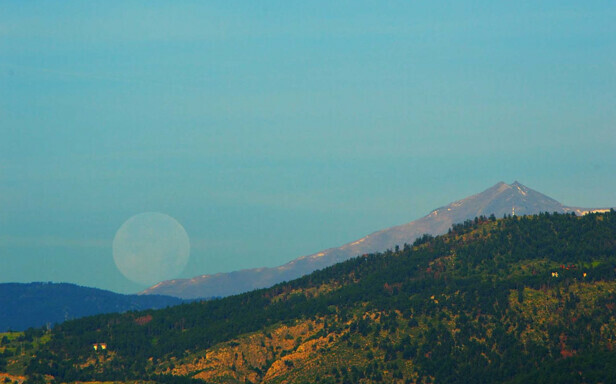 The Moon is more than just the Moon this weekend, it's super-sized. Well, in appearance that is. The weather should cooperate enough that most all of Colorado will have a clear enough sky to sneak at least a peek at it tonight. Like the Earth's orbit around the Sun, the Moon's orbit around Earth isn't perfectly circular -- it's elliptical. 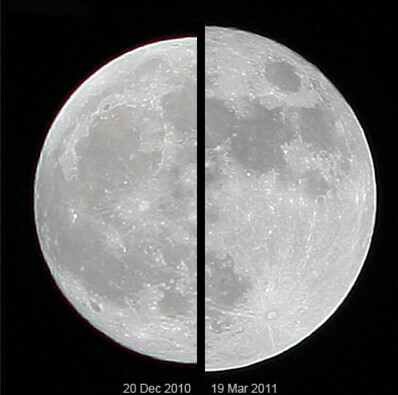 When the Moon is at its closest to Earth, it's known as the perigee moon, or 'supermoon'. The Moon will be closest to Earth today, Sunday August 10th. Coincidentally, the moon will also be in it's full phase. So today's full moon will appear larger, and brighter than an average full moon. NASA says it will be 14% closer and 30% brighter than the average full moon. Today's supermoon is actually the second of three this summer, and is expected to be the brightest of the three. We say it looks bigger, because we know the size of the Moon isn't changing, but the distance to Earth does. During Sunday's supermoon, the Earth and Moon will be 221,675 miles apart (versus 251,655 miles when furthest apart). The next time the two will be this close is Sep 28th, 2015. This August full moon itself has several names: It’s the Sturgeon Moon, Green Corn Moon or the Grain Moon. Technically the full moon occurs midday Sunday, mountain time, but for generalities you'll see the full moon the night of the 10th. This month's full moon also coincides with the Perseid meteorshower. This makes the event extra special, but will make it far more challenging to see meteors over the coming nights. The peak night to see the Perseids is August 13th, when ordinarily one could see more than 100 meteors an hour. That number will be lower this year as your eyes will be competing with the moon, but the bigger fireballs will still be visible.